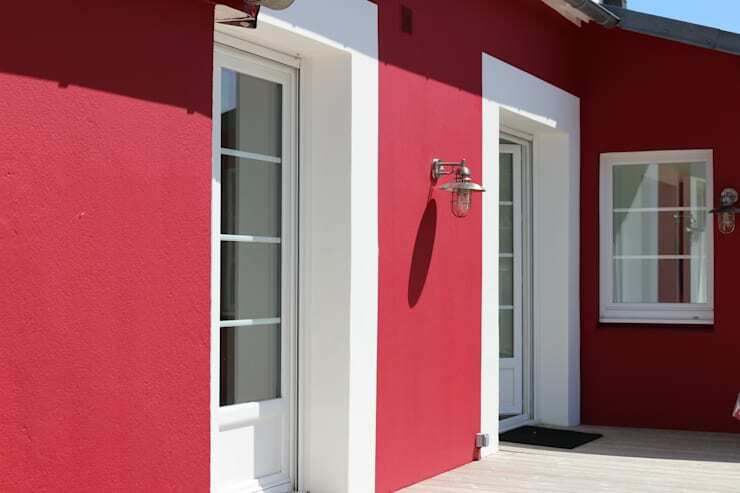 When it comes to the facade of your home, you should analyse the characteristics, the design, the coating and the finishes to ensure that you are making the most of this feature. Remember that the outside of your home is the first impression that people will get of your style and what the interior of your home looks like. These details are thus incredibly important and set the tone of your home! 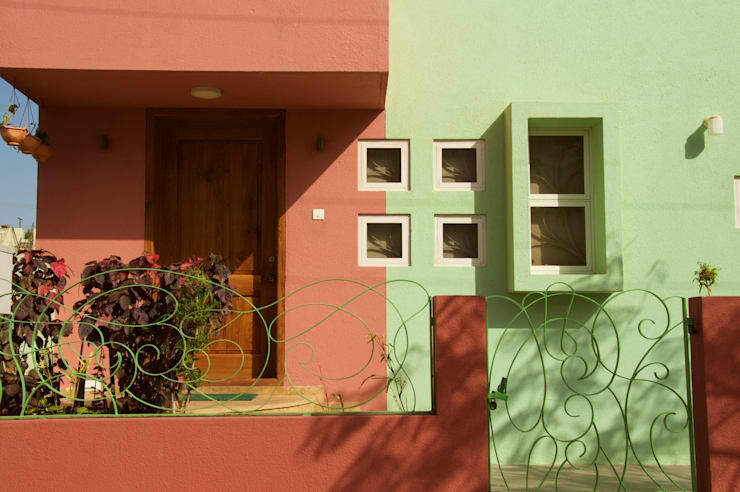 In this homify ideabook, we are going to show you 10 fabulous facades, which could be used for your very own home. Come with us as we explore these 10 designs and see if you may be inspired to change the look and feel of your house, making it just that much more entrancing! This facade gives a very interesting texture to the look and feel of the home. The rectangle elements on the wall make for a very quirky and unique design! 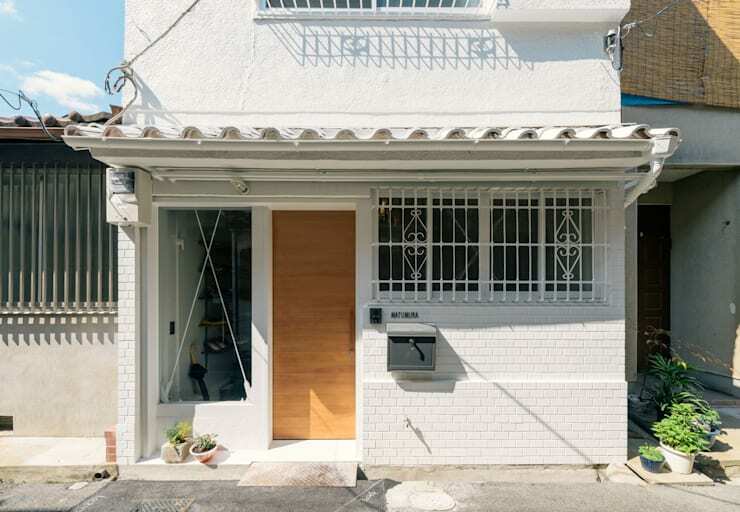 It's also far more appropriate for the exterior space than the interior space. This type of texture also works thanks to the neutral tones, allowing the textures to be subtle. 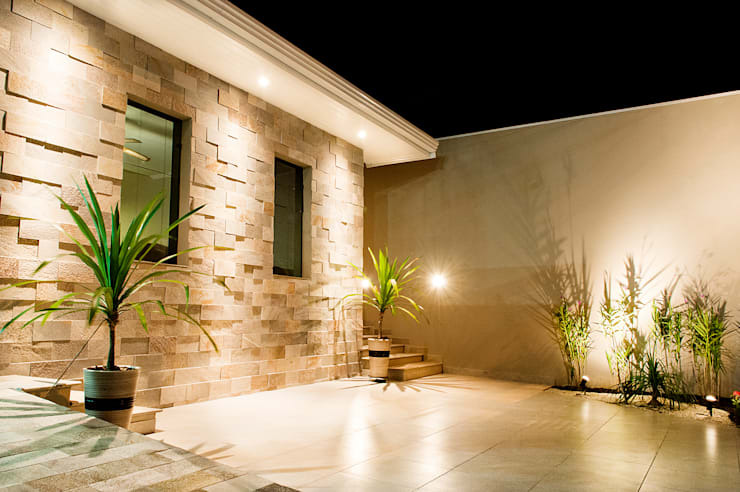 The gorgeous outdoor lights illuminate the design. A very small home can pack a punch if you paint the linear bricks a striking colour, accentuating the horizontal proportions and the linear design. As we can see in this design, by professional designers COIL, white can be simple but very stunning. It also works in harmony with all of the other elements including a wooden front door, the burglar bars and the glass windows. As we can see in this design, a strong colour with white finishes brings a beautiful colonial look and feel to the exterior space, while creating a very striking design. The lanterns on the wall gives special character and charm to the house, while the design of the door is simple but very effective with the combination of glass and wood. White contrasts beautifully with any strong colour! 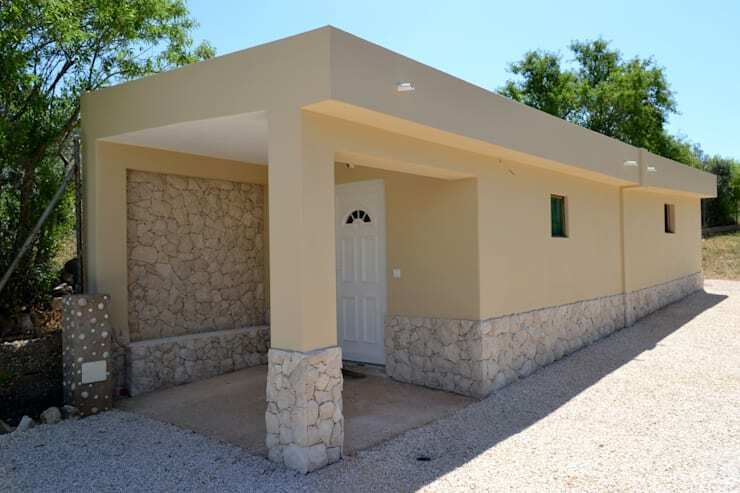 This reinforced concrete brings beautiful detail to the look and feel of this home, as well as creating a very unique design. This exposed, natural and raw material is cost-effective and very trendy. The concrete also complements the transparency of the glass, reinforcing the colour and texture. Do you see how the different textures and tones create a very interesting dynamic? The lighting is also very dramatic, adding to the gorgeous design. When it comes to a rustic design like this one, smooth walls are perfect. 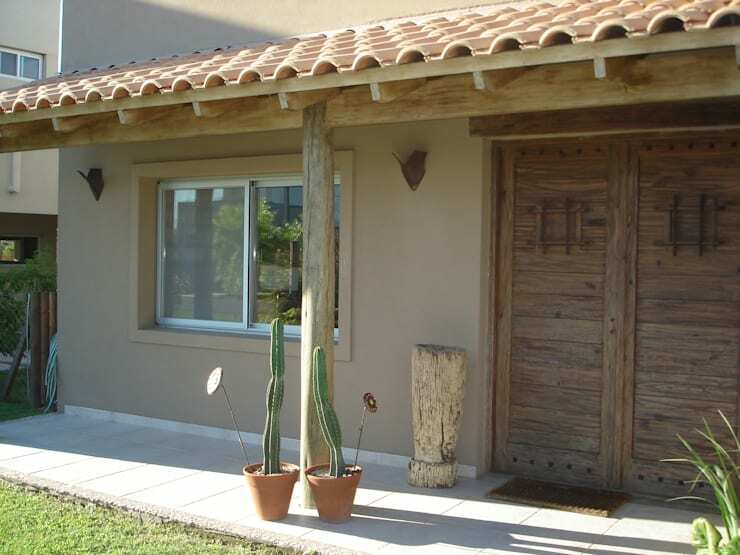 They work in harmony with natural wood and the tiled roof, while all of these earthy tones and colours come together in a stunning yet subtle design. The decor items chosen for this outdoor space complement the rustic style. If you are going to combine textures for your facade, we recommend using a smooth wall. In this design, we can see how the stone facade runs across the bottom of the wall, working in harmony with the smooth plastered wall on the top. 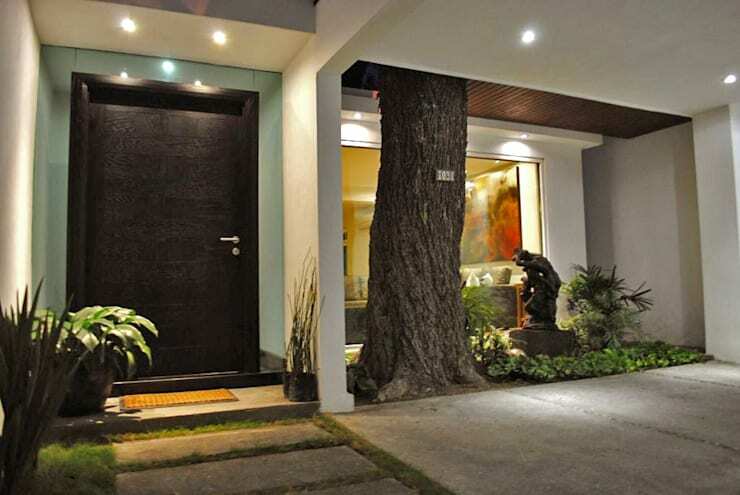 This ensures that the look and feel isn't overwhelming, while the entrance to the home is very welcoming. The neutral and earthy tones makes for a very warm design. 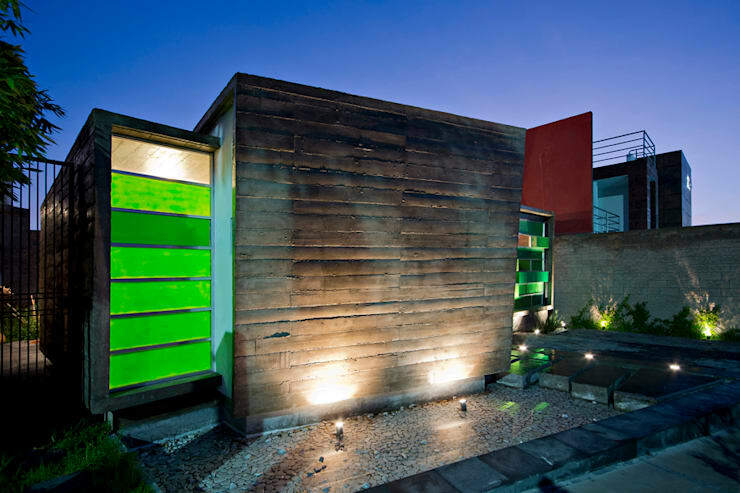 Using different colours for the wall of facade creates a very unusual and eclectic look and feel. In this mage we can see how the green and red tones work together, complementing the wooden front door. If we saw this, we would be so intrigued to find out what the living room or dining room looks like! Glass is always an ally when it comes to the facade of our house. The transparency allows a beautiful connection between the interior and exterior spaces, which works especially well if you have a lush green garden or if your home is surrounded y nature. Integrated spaces are very appealing! You don't want to compromise your privacy, however, so ensure that you install a large glass window across a room that isn't too private. Focus on the details, drawing attention to the front of your home. 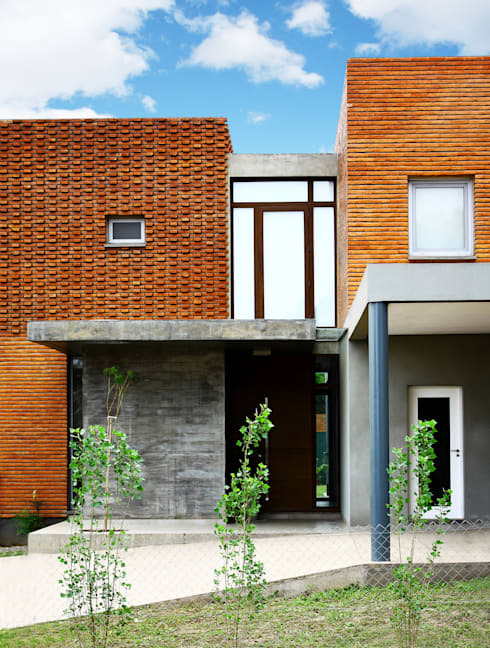 Brick is a timeless material that always enhances the look and feel of a home. As we can see in this image, it also works beautifully with different textures and tones. Pair brick walls with raw cement, mixing modern design with traditional details. Add a beautiful front garden too! In this facade, we can see how stone creates a very natural and beautiful look and feel, introducing a rustic texture to the ambiance. This more rural design works in harmony with the beautiful stone pathway as well as the lush green garden. 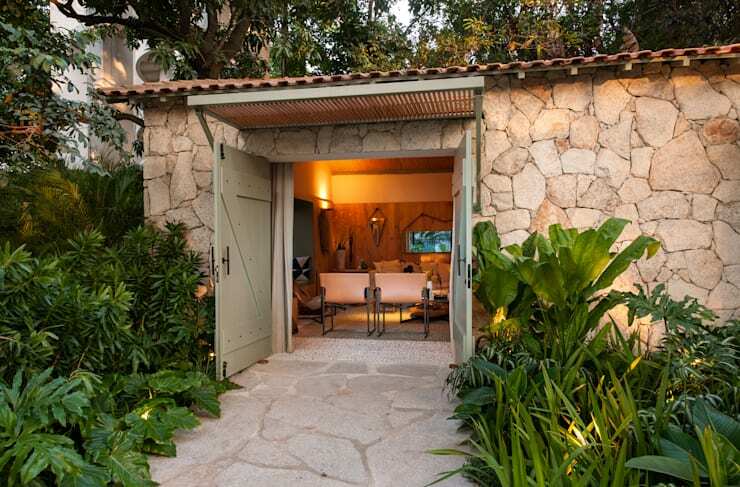 Also have a look at: How to make your home roar with raw materials. Are you going to make changes to your facade?